One Hundred. Ultra Beast Survival. The human brain is an astounding, marvelous, confusing thing. As someone with a background in science (namely biology), thoughts and emotions just baffle me. I often see things cut and dry. Force = mass x acceleration. It is an equation, it makes sense. I understand how brain synapses and neurotransmitters work. My thought processes, however, typically make zero sense at all. Remember the Ultra Beast? Remember how I left Killington with a DNF (“did not finish” for all of you unfamiliar with crazy runner terminology)? A DNF that was so painfully close to being a finish, but it wasn’t, it was a DNF, no way around it. It haunted me. I swore I would exact revenge in 2013. I shouted from the rooftops (well, twitter at least) that even if they didn’t accept me into the Ultra Beast again, I would simply run two laps of the Beast. I had unfinished business, and I would not settle until redemption was obtained. Well, that DNF was almost 9 months ago. So much has happened in my little corner of the world in the last 9 months. While I have been training hard since then, the idea of pushing myself and my training simply because of the Ultra Beast has slowly slipped further and further away. I mean, I love racing as much as the next crazy Spartan, but “real life” problems have certainly taken center stage. Trying to settle into my career, financial struggles, figuring out this impending move, just to name a few. And let’s be real: being away from my kids for so long hurts infinitely worse than ANYTHING a Spartan race could ever throw my way, physically and emotionally. Training has become about me, not about a specific goal. So when talk of the Ultra Beast started to come around again, I found myself caring slightly less than I expected. I put my name in the hat however, though I didn’t find myself getting worked up with anxiety, as so many others were, over the lack of UB information coming from Spartan Headquarters. I realized that a lot of my motives behind wanting to finish the Ultra Beast last year were based upon a lot of anger I had pent up inside of me: anger at myself, anger at others, anger at the situation I had found myself in. Whether I realized it or not at the time, I felt I had something to prove, for all of the wrong reasons. Thankfully, most (I won’t lie, not all) of those emotions are long gone. 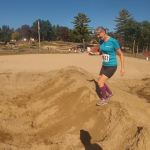 When discussions came up of how much harder the race would be this year, and how the course would be more demanding and the cutoffs more extreme, I wondered if I’d even have time to train for something so challenging. I thought I might not, and I found myself surprisingly OK with the thought of “just” doing the 13 mile Beast (a ridiculous feat in itself). In my mind, I no longer really cared about the Ultra Beast. Until the official emails went out yesterday, and I found out that I’m back in for 2013. 1,000 spots available this year (a huge jump from the 350ish of us that raced last year) and all athletes who were accepted last year are automatically accepted for 2013. When the news came out, at around 7:00 pm last night, I quickly morphed from “not really caring” to practically reaching through my computer screen to physically grab my entry form and stake claim on my spot in this years race. And I wasn’t the only one: my facebook feed began blowing up with talk of the Ultra Beast, my phone started ringing (it was ORM Matt calling about the Ultra Beast), private messages and tweets began popping up. I’m glad to know I’m in good company. I’ve seriously lost my mind. Again, human emotions, they baffle me. I’m not sure what reignited my desire to finish what I started with the Ultra Beast course, or if that desire has truly been there all along (I’m thinking the latter). All I know is that I suddenly have a focus and drive that feels unbreakable, and I have 100 days to train like I have never trained before to seek redemption on Killington Mountain. My training just went from serious to survival level. The course may be vastly different this year, but there is much that I know will remain the same. I know my weaknesses, and I know what to focus on. There will be no DNF this year, unless they pull me out on a stretcher. DNF < Did Not Quit. 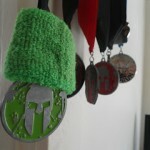 2012 Spartan ULTRA Beast. Yay! You got in! I can’t wait to see you kill it. It is amazing how feelings and emotions can get buried whether we mean to or not and what can bring them out. I love your passion. Love love love!! 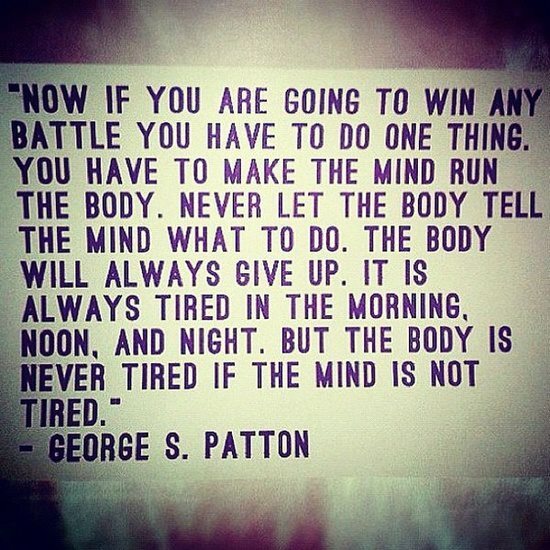 Feeling and emotions are crazy, but when used the right way … well, I have no doubt you will finish! Happy training! I think the name ultra beast was named after you… just saying.